Federicapaola Capecchi and Francesco Tadini, authors of Coreografia d’Arte Festival and of Space, body and power project, anticipate the topics and the cues of reflection and search that will characterize the III° edition of Coreografia D’arte. Human is measure of what he creates. Coregrafia d’Arte measures human in front of something he has created. In front of a work. Theatre that dances a work. Thus, the boundless dimension of the theatrical gesture reports to the small world of a painting. That framed universe made by images and colors is freed from that other world – that speaks body’s language – for the length of a show. Framing means to put in a square space. But it also means to place, to focus, to include, to make the point, to enlist, to assume, to insert, to outline, to resume, to line up, to describe… The opposites are: to separate, to confuse, to misinterpret. Coreografia d’Arte deals with all these words. 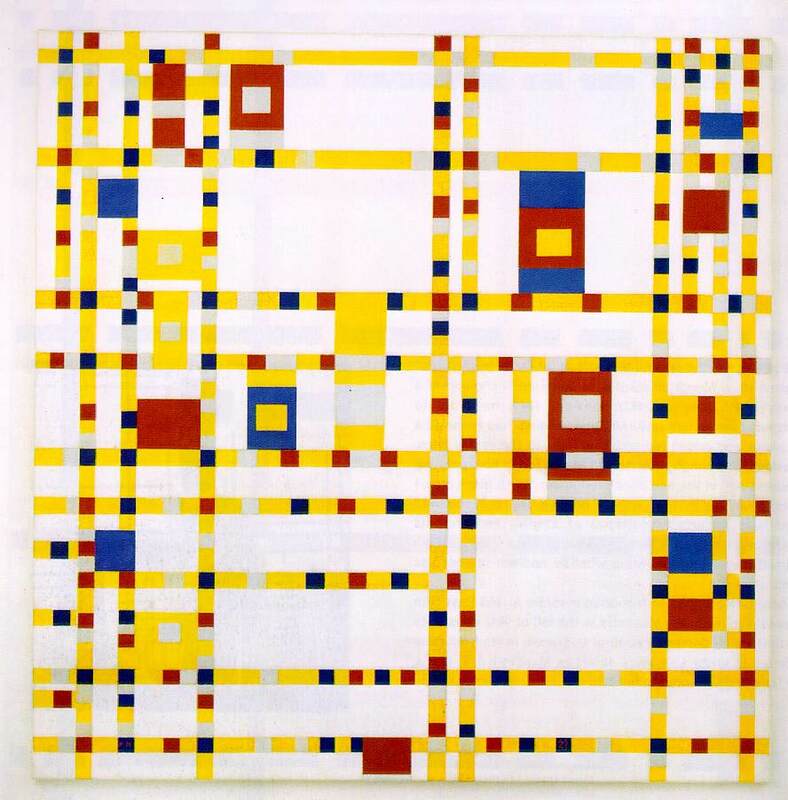 Piet Mondrian painted – two years before dying – Broadway Boogie-Woogie. A painting that frames a musical style (called Fast Blues, at the beginning) that people danced. He put in it all that he loved. He left outside all that he escaped: nazism, first of all. He included movement in a formal architecture whose author he was, till to take – nearly – the risk to break it off, going beyond the rules. “No temple could have a rational design without symmetry and without proportion, ie without having an exact proportional relationship with the parts of a well-formed human body …” Vitruvio writes it in the third Chapter of De Architectura. The worry of the proportions with the body – and with all that can act – is still a dominant reason of every Form of art. It makes people think to the musical search, the spatialisation of the sound, to the creation of acoustic, habitable, new, not ordinary worlds. The 55th Biennial Music of Venice is called “Mutants”: it alludes to something that isn’t anymore, something transforming… In the end to a human being that loses proportions, weight, consistency, a human being that entrusts his own identity to the memory of a remote machine: prosthesis and s synthesis in the same timeless delirium. 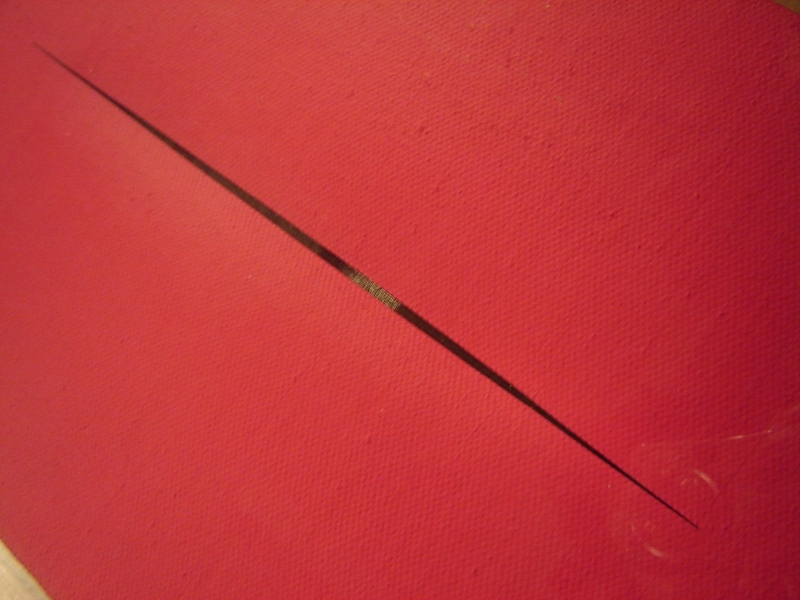 Coreografia d’Arte seraches for the border space between languages: that thin line whose membrane was torn – irreparably – by the cuts of Lucio Fontana. That’s why Federicapaola Capecchi dedicated to it one of her first choreographies, two years ago. The space where extension and distance get confused is the one that must be read before being conceived, it must be seen before being measured. Perhaps this is the reason-why the word Weltanschauung (vision of the world) offers a container of absolute, recurrent, actual plasticity. It contains the idea that the vision is the force that makes possible to construct Reality and Form. Jaspers wrote “the visions of the world are ideas, supreme manifestations and total expressions of human (…) The last positions that soul occupies, the forces that move it” (Psychology of World Views, 1919). 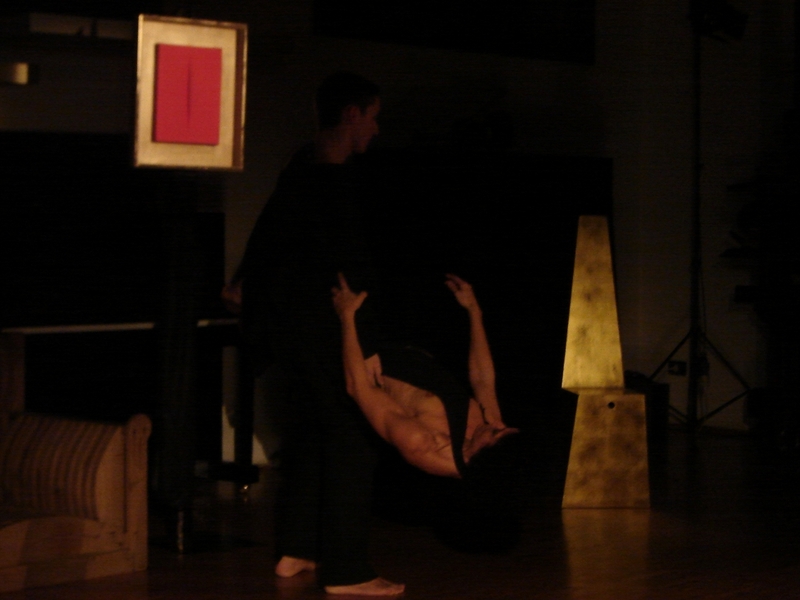 The search and the plan of human’s space – the possibility to focus it – are the topic of Coreografia d’Arte 2012. In our Vision, the only remedy to the loss of identity of the man/mutant is the reconquest of the lost land: the only space of the scene. The Theatre, the unique moment of the improvisation, the physical relation with what happens, the minimal distance between who makes actions and who is involved are the most cutting weapons that humanity has to grant Time to gain the battle against the great Electronic Freezer. Paintings “freed” in the unforeseeable space of a scene constructed brick after brick by the movement of the dancing bodies. Therefore we ask the audition to frame, to place, to include, to resume, to separate… and, perhaps, also to align oneself for a vision of art, that is not retinal, a vision of life without roles. Coreografia d’Arte researches into space. It considers space as choreographic, physical and conceptual element, intrinsically related to the art of choreography and to art, and as general element: natural, daily, psycho-physiological, associate-cultural, civil, political and, above all, artistic. As a question- still unresolved – which is the ground of the search and the creativity of every art: painting, sculpture, photography, cinema, literature. Space, body and power. We want to research into them, this is our beginning. Dance becomes `handwriting’. Is it really able to make an incision at a plastic level? We are in front of a space that, modeling and being modeled, acquires concreteness and density. This makes impossible to look at it as an “empty space” (The Empty Space, Peter Brook, 1968). “Space represents a dynamic force in the contemporary fight concerning meaning, belonging and power” Jody Berland, Space 2005. We enter this analysis and search. […] Arriving to a stronger and deeper relation with the languages of art and being careful to knowledge are essential expressions of every society and this is the attention that Coreografia D’ Arte wants to have.. This is the starting point of Coreografia d’Arte’s new edition. It starts from a thought that brings to new reflections about space and also from a dance in the space, fruit of a choreographer thinker that reveals in choreographic writing one’s own aesthetic and Weltanschauung (vision of the world). That’s why Coreografia D’Arte doesn’t stop, through the art, remembering the necessity of being witnesses of one’s own contemporary, pouring a thought, communicating it, taking positions.